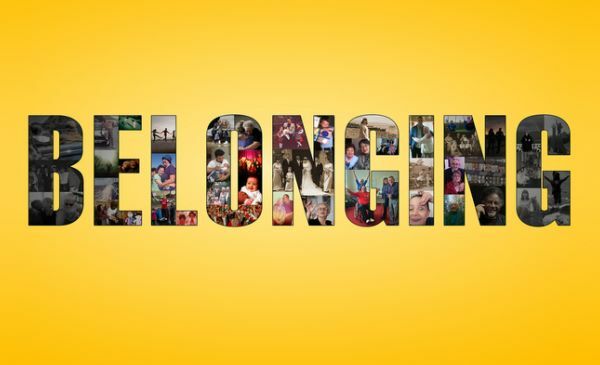 Belonging: The American psychologist Abraham Harold Maslow labeled belonging as one of our five basic needs, after physiological requirements (under which fall physical survival, including food, water, and shelter) and safety demands (including feelings of security and stability, living free of fear, and safe from harm). In A Theory of Human Motivation, he shows that our identity is connected with—and even dependent upon—our feelings of belonging. Maslow explains that once a man’s physiological and safety needs are met, he will hunger for affectionate relations with people in general, namely, for a place in his group, and he will strive with great intensity to achieve this goal. He will want to attain such a place more than anything else in the world and may even forget that once, when he was hungry, he sneered at love. As Maslow further describes in his paper, we only achieve self-esteem, the respect of others, and self-actualization once our need for belongingness, love, and affection is fulfilled. Maslow’s hierarchy of needs clarifies that our identity—our sense of self—is in large part defined by the social networks and communities we belong to—and equally those we opt out of. Traditionally, our social identity was formed by circles such as our family, neighborhood, nation, education, religion, political party, profession, and so on. Forces in modern society, however, have broken down many of these classic conventions, which have defined and labeled who we are to others for decades, if not centuries. Today, the emerging generation is a visible composite of long-established distinctions. Our multidimensional lifestyles mix and match education and class, religion and politics, neighborhoods and professions in the same way that we mash up the clothes we wear and the music we listen to. And while many in the populist movement may yearn for more linear self-definitions from the past, it’s hard to imagine Millennials and Gen Zers enabling this over the long term. More diverse than Baby Boomers and Gen Xers, a significant number of each generation are children of interracial, interethnic, or interfaith marriages. Many identify with more than one label from traditional categories or choose to reject labels altogether—including, sometimes, even traditional gender norms. Technology has opened all our eyes—not only those of Millennials and Gen Zers—to new cultures and new lifestyles. And in doing so, it has widened everyone’s opportunities for belonging to global communities, alongside local ones, and to virtual groups side by side with physical cliques. Our technologically facilitated interconnectedness naturally promotes more fluid self-definition. Although some people have always broken out of their social group or taken on multiple personas, they historically did so cautiously—and, societally, not at such a large scale. This sense of ME and WE intertwined comes to the fore in building brands on community and belonging. Brands facilitate connections to a larger collective: people who buy the same products and services, share ways of living, or are united through common purpose and values. In a consumerist culture, our social identities are in part wrapped up in the brands we choose. The labels we buy, wear, eat, and even work at symbolize who we are to ourselves and to others. They represent our affiliations with certain lifestyles, social groups, attitudes, and ideals. Consciously and subconsciously, we decide whether or not to become a member of, for instance, the Apple, Google, Chipotle, SAS, Harley Davidson, Burt’s Bees communities, and so forth. Those who opt for lesser known or unbranded products and services sometimes are making more determined statements about who they are by declaring who they are not. Brands positioned with our community in mind are often perceived as extensions of our own personas, in sync with how we define ourselves today and who we aspire to be. In the same way we’re drawn to people who are similar to us, demonstrate an understanding of the things we care about, or are part of a group we yearn to join, we’re attracted to brands that share our personal values and connect us emotionally, virtually, or physically to like-minded people—or represent something aspirational that we desire. With a clearly defined attitude or passion at the center of their brand purpose, these brands frequently engender fierce loyalty from customers, employees, and other fans. Only brands that behave sincerely and are masterful at “listening” persuade us that they understand our inner emotions. All brands, however, have the opportunity to foster greater affinity by demonstrating a firm belief in, or commitment to, the things that matter to the people they aim to engage—whether they be customers, employees, shareholders, or other stakeholders. There is great opportunity for brands who know how to bring people together through shared values and common passions. Don’t underestimate your ability to be one of these brands. Contributed to Branding Strategy Insider by: Anne Bahr Thompson. Excerpted from her new book Do Good, Embracing Brand Citizenship to Fuel Both Purpose and Profit. The Blake Project Can Help: Please email us for more about our brand community and brand culture workshops.